Native plants have a tough lot — cattle trample them, deer devour them, and invasive species choke them out. Add in climate change and the natural balance of plant communities really gets thrown out of whack. 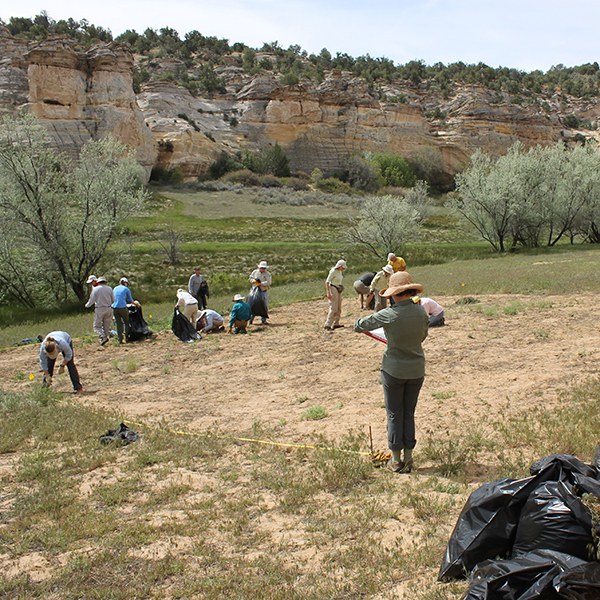 We work to restore native plant diversity across the Colorado Plateau. Sometimes this means pulling thistles to make space for native plants. Other times it means building fences to keep livestock out, giving delicate grasses the chance to reclaim ground after decades of overgrazing. 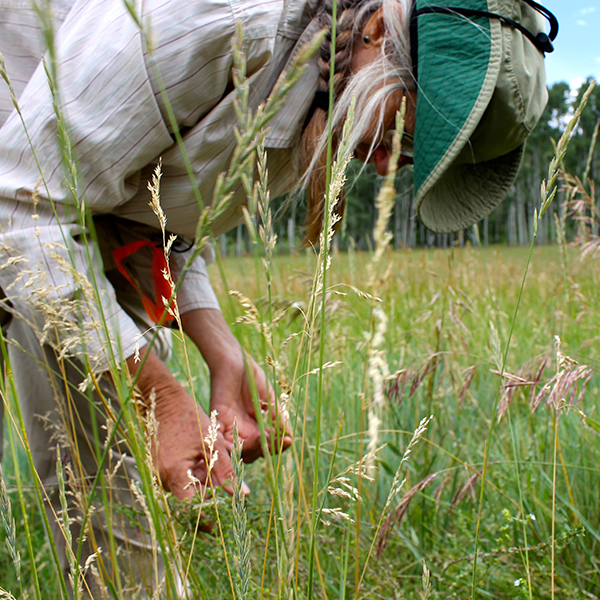 We count tiny grass heads, identify plant species, and advocate for a better balance of grazed and livestock-free lands. 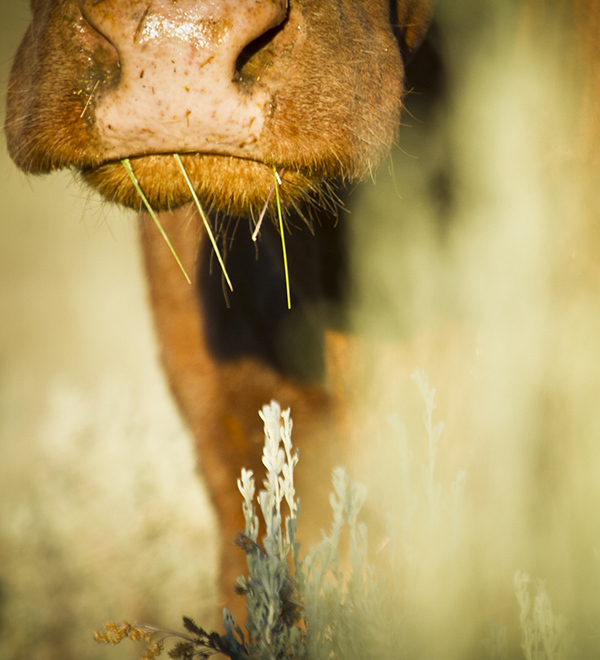 We team up ranchers, agencies, researchers, and others to address grazing issues across the plateau. Learn about our work as a grazing permitee on the North Rim Ranches and how we’re managing aspen trees in Utah. Nearly all of our public lands are open to grazing. We plug into every management process we can and advocate for less grazing across the plateau on behalf of the plants and critters negatively impacted by livestock. What are native plants, and why do they matter? 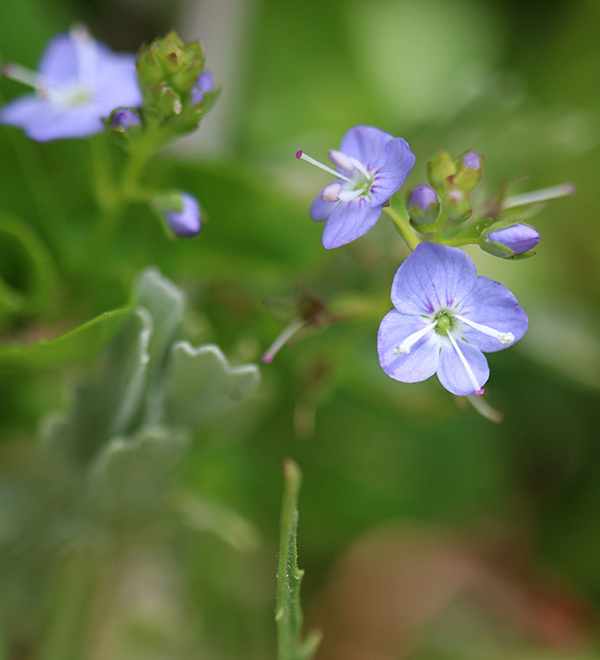 Native plants occur naturally and have evolved to the specific locales in which they grow. 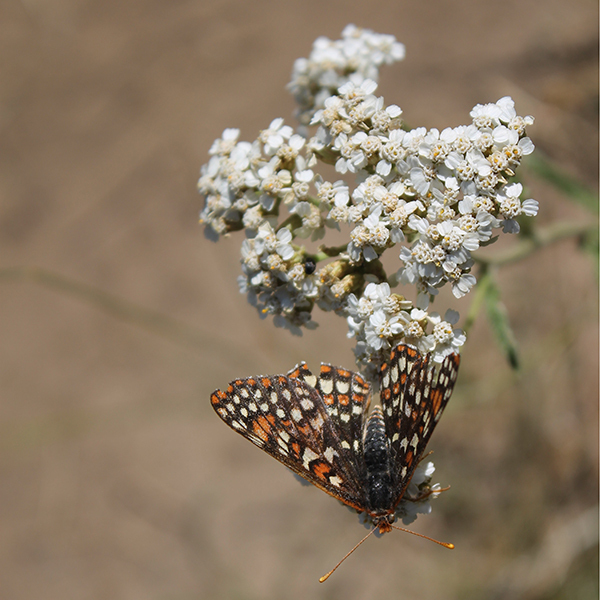 They attract colorful arrays of butterflies and bees, provide food and cover for voles, harrier chicks, fawns, and other animals, and help cool the water in streams. Native plants are important components of healthy and balanced natural areas. On the Colorado Plateau, where rocks outnumber plants, the ground is dry, and water sources scarce, livestock leave big impacts on the land. Native plants wither under the pressure of too many mouths and hooves. We work with ranchers, land managers, and others to study grazing impacts, address problems, and advocate for better grazing policies and management of our public lands. Fences are just as good at keeping animals out as they are at keeping them in. We use reference areas, which were once heavily grazed, to track the recovery of native species when cattle, deer, elk, and sheep are fenced out. 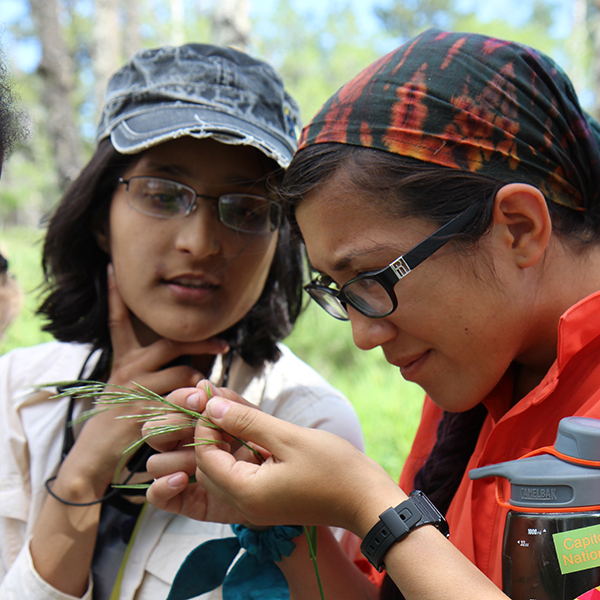 We study the variety of plants that replace non-natives, and count how many of each species we find. With the help of our herculean volunteers, we remove invasive plants in reference areas across the plateau. Eliminating weed seeds is critical to reverse the trend of invasives, and after years of persistent weeding efforts, we've seen significant decline of non-native species and a glimpse of what healthy public lands could look like. The arid reality of the Southwest, plus prolonged drought and climate change, means that cows aren’t grazing in green, bucolic pastures. Instead, they roam around parched lands and marginal forests looking for scarce food and even scarcer water. They damage biological soil crusts, erode streambeds, and crush native plants. Grazing will continue on our public lands into the foreseeable future, so we need to be smarter about where, when, and how livestock are set loose in our deserts, meadows, streams, and forests. How widespread is cattle grazing on the Colorado Plateau? Want to make a difference on the ground? 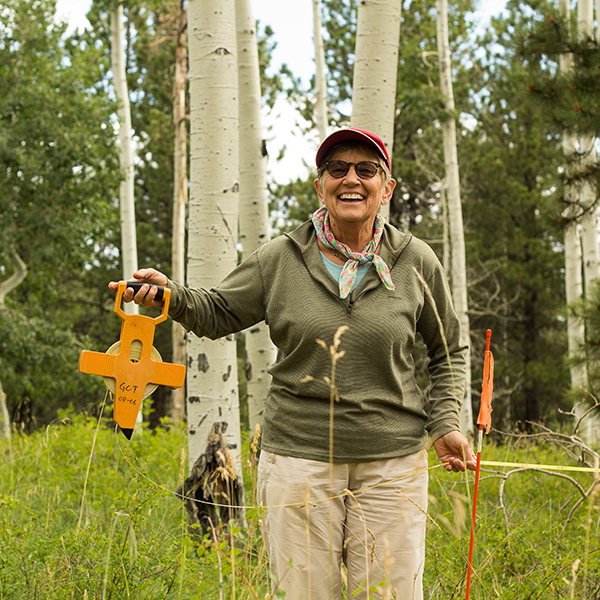 We have several volunteer trips each year focusing on research and restoration of grazed lands across the Colorado Plateau. Join us in the field! Speak up for the Colorado Plateau at a moment's notice. We send out timely emails notifying you of opportunities to submit comments, sign petitions, and take other actions on behalf of our public lands. 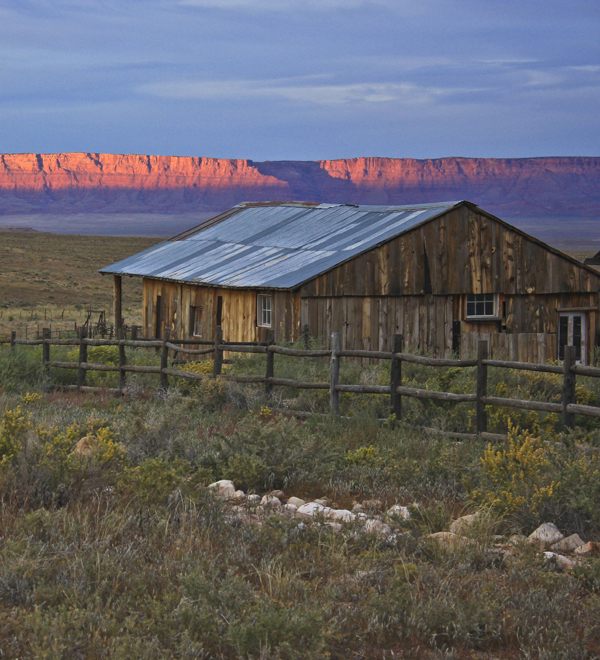 Nestled between the north rim of the Grand Canyon and the Vermilion Cliffs, North Rim Ranches provide the perfect grounds to study and test conservation-based land management. From working with local ranchers, to researching climate change, we strive to protect and restore wildlife, water sources, and landscapes while promoting healthy grazing practices. 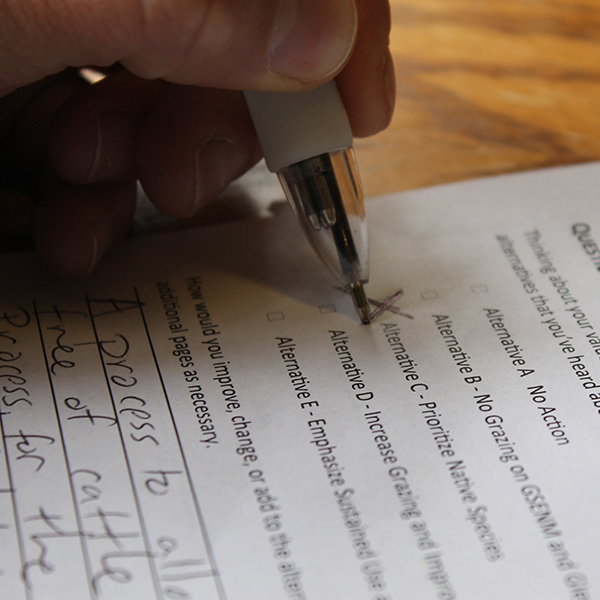 We work on the ground, in meeting rooms, and sometimes in court to protect our national forests in southern Utah. 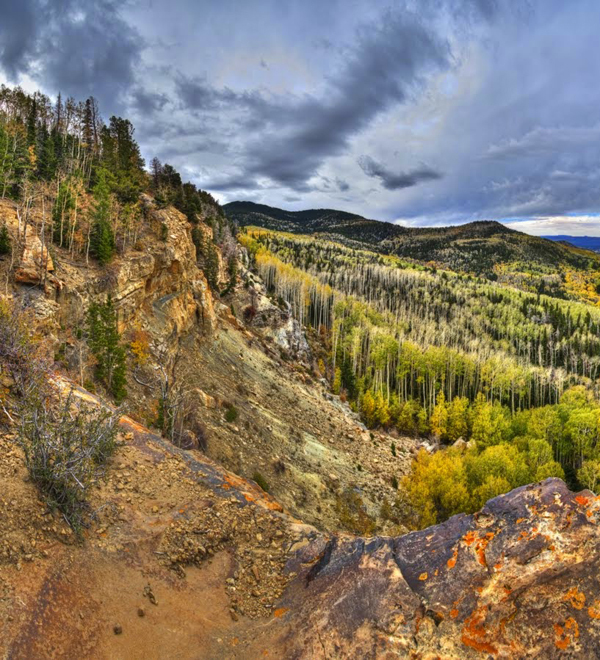 Learn more about our conservation-based proposal for the Manti-La Sal National Forest and our restoration work on the Pando Clone, White Mesa Cultural and Conservation Area, and Monroe Mountain. 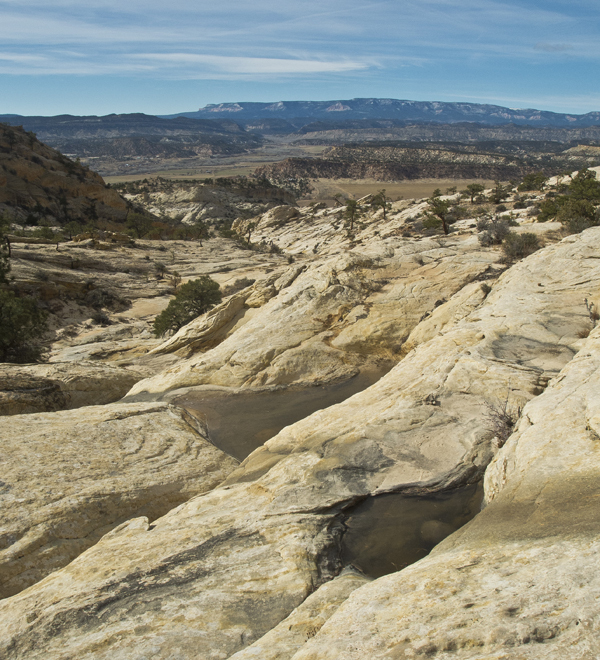 About 95 percent of Grand Staircase-Escalante National Monument is open to cattle, yet the monument does not have a grazing management plan. Before President Trump slashed the monument's boundaries, we were pushing the Bureau of Land Management to adopt a “sustainable alternative” for grazing management. Now it's a bit more complicated. Public lands, by definition, are open to everyone for a variety of uses. Livestock grazing is the most widespread, as it's promoted and subsidized by federal agencies. Here's how grazing works in the West. Note: when we talk about grazing, we’re talking about livestock — primarily cattle and sheep. It costs $1.41 per cow/calf pair, per month, to graze on public lands. So if you have 100 cows, it costs you $1,692 to graze your herd on public lands for a year. States in the Four Corners region charge six to 13 times more to graze on state lands. The formula that determines federal grazing fees is more than 40 years old and doesn't even account for inflation. By subsidizing grazing, the federal government is relying on the public to foot the bill of public lands ranching in the West. Exclosures: These are fenced reference areas free of grazing animals that scientists and land managers use to see how the land recovers in the absence of cattle. Utilization: This number, often expressed as a percent, describes the amount of plant material that livestock eat compared to how much is available. Animal unit month (AUM): An AUM is how much food a 1,000 pound cow and a calf (or one horse or 5 sheep) eat in a month.